Whether by merger, acquisition, enterprise consolidation, EMR adoption, or a straightforward system replacement, health care organizations eventually will face an enterprise-level IT transformation in some form. Each organization's transformation will include a data migration to transform an often fragmented and dirty imaging infrastructure into standardized, clean data sets ready for ingestion by new systems. Preparation for such a migration should begin at the point of recognizing the inevitable need for change. Early steps should include identifying contributors, strategy, and process. Although the mechanics of migration can feel like an arduous process, proper planning will help achieve this important IT transformation. Mergers and acquisitions heavily influence a need for enterprise consolidation. For example when Tenet Healthcare Corporation announced the acquisition of Vanguard Health Systems last year, Trevor Fetter, president and CEO of Tenet told Bloomberg News: "The acquisition will allow Tenet to accelerate cost-reduction efforts, a hallmark of health care reform. Investors should expect more acquisitions in the future." Creating economies of scale, uniform work standards, and efficient utilization of resources across the converging enterprises is critical for organizations focusing on profitability and for extending services without duplication to the outer reaches of their enterprise. However, simply unifying the operational structures is not enough to achieve such efficiency. A technical consolidation must support the operational initiatives. The organization must examine each acquired imaging platform's image data and apply unique rules for transforming the data to an enterprise standard while maintaining image integrity. Drastic variations in how image storage vendors store and maintain their images can complicate the process. Mergers and acquisitions often involve large and well-established imaging infrastructures with varied and sometimes competing policies and standards. Consolidating them into a single archive requires a comprehensive strategy for standardizing imaging data sets from legacy vendors before ingestion into the single enterprise imaging platform. "Standardization on the corporate PACS is clearly generating successive projects as seen by Tenet Healthcare Corp buying Vanguard Health Systems Inc," says Larry Ranahan, vice president of business development and operations at Laitek. Outside of merger and acquisition activity, many organizations still need to deal with disparate platforms. Long gone are the days of brick and mortar technical autonomy. Geographical and physical boundaries have given way to extending infrastructures to the outmost logical boundaries of a care organization. Organizations are looking to take full advantage of their technical and professional services across the entire enterprise, seeking the economies of scale, work standards, and optimized reimbursement opportunities. These consolidations include not only acute facility consolidation but also ambulatory outpatient and group practice settings. Because capital cost and support and maintenance of duplicate platforms weigh heavily on an organization's bottom line, creating a more efficient and profitable delivery system motivates much of the decision. Additionally, ongoing EHR/EMR initiatives naturally imply the need for imaging platforms to provide a simplified yet robust model to make images accessible by those electronic record systems. Interfacing to a single standardized imaging platform reduces investment and overhead. A single standardized interface cannot be efficiently accomplished without consolidation of disparate imaging systems into a single standardized platform. Replacement and cost avoidance weigh heavily on an organization's bottom line for capital and operational costs. Advances in tiered storage methodologies, the decreasing costs of disk space, and a more flexible attitude toward cloud storage in health care mean infrastructure teams are presented with a variety of platform options for mitigating costs and enhancing accessibility. For example, when approaching hardware replacement options for attached storage, organizations can now look to storing data on an array of tiered storage, transition to lower cost and higher density platforms, head out to the cloud, or utilize a blend of all three. All three options must account for a migration process that can efficiently handle conformance to imaging standards while remaining in sync with systems continually generating imaging content during the migration process. Migrations are necessary for decoupling and standardizing data ingested by a new system, but are sometimes overlooked during budgetary and strategy planning. The effect of a migration is clean imaging datasets, unadulterated by proprietary tagging and manipulations, and providing consistency across all imaging content. Considering every image in an organization must be touched during a migration, a complete implementation process should account for duration of the migration process while systems churn through the organization's repositories. This process can take weeks, months, or years depending on disparity and quantity of systems, storage technologies, and image lifecycle management initiatives. The flow chart graphic illustrates one migration approach. Migration to a vendor-neutral archive (VNA) to create a single image repository is often just one part of an organization upgrading its enterprise imaging capability. Other more or less concurrent imaging initiatives may include consolidation of other departments' images (which may or may not be DICOM compliant) and implementation of an enterprise diagnostic viewer, and EMR/EHR integration. Both the legacy and future imaging viewers and data visualization tools must know where to identify the source of truth for imaging data information while the data are in flight during migration. Image complexity also affects migration strategies and timelines. VNAs present a standards-based interoperability platform that enables a "plug and play" environment. However, the model is not without challenges. 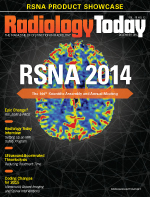 Specialized imaging continues to grow and increase in complexity of image sets. Complex sets such as volume rendering and digital breast tomosynthesis can be tricky with standards and archives. Utilizing a robust migration strategy and process can ensure complex imaging data sets are standardized accordingly and with flexibility to handle the ever-changing technology landscape. Although an organization's technical systems and vendor implementation processes can vary, a migration initiative can be viewed as a phased process from setup to teardown. Working with a phased structure allows administrators to run parallel efforts with other initiatives in the transformation. The following is one example of a four-phase initiative provided by Laitek describing activities occurring from contract signature to teardown of the migration system. 1. System Setup: During this phase, a server is configured, shipped, racked, and integrated with the client's network. Connectivity is tested between the legacy image repository and the test and production systems. 2. Inventory Validation and Training: This phase begins deep assessment of the legacy system architecture and user interface training for Web administration. 3. Data Extraction and Migration: In this phase, sample study data are extracted from legacy systems and sent to the test server and production servers. After sample study data have been validated, the migration is started. 4. Cleanup and Closure: After the migration data transfer, outstanding issues are compiled, reported, and reconciled. After this phase, the migration to the new target is completed, the project is closed out, and the migration server hardware is returned to the vendor. • Migration validation: Validation involves extracting image data from the legacy system, migrating to the new system, and validating against standards. • Migration testing: Migrate a selection of studies from each modality and annotation through to the new archive and validate them for success. • Throughput analysis: Extract a sample batch of studies from the legacy archives and migrate them to a neutral storage device and calculate an average inbound transfer rate of studies per day. • Calculate duration analysis: Utilize a moving average approach to calculate and predict migration duration based on an average outbound transfer rate of studies per hour. • Accession number assignment: Apply a schema of accession numbers for studies without accession numbers. • Procedure mapping: Crosswalk event-matching procedure descriptions from the legacy to the target storage system. Implement SNOMED CT or other best practice procedure descriptions as defined by the enterprise. • Inbound cleanup analysis: Identify the estimated duration for data translation during migration between legacy and target system. • Migration: Begin migration of all studies into target archive. • Outbound cleanup analysis: Identify remaining studies that failed to process and apply corrective action. • Final reconciliation: Final inventory reconciliation of legacy and target systems, yielding a settlement sheet detailing the successful migration and exceptions. All irreconcilable exception studies are passed to the site in a repository for their future lookup use. • Final report: Publish final report to the customer of all migration project information, including summary of migration results. A migration strategy is a critical process in any organization's imaging platform transformation. Its effectiveness greatly influences the liquidity of image data going forward. Whether approaching a PACS replacement, VNA initiative, consolidation, workflow manager implementation, or enterprise analytics, consistent imaging data are an integral component to successful imaging initiatives. Approach migration diligently, allot appropriate resources to the project, and place it at the forefront of a transformation. — Dave Whitney is a senior consultant at Ascendian Healthcare Consulting. He is a frequent author on health IT and enterprise imaging transformation. Contact him at dwhitney@ascendian.com or visit www.ascendian.com.